15 Reliable Places to Find WordPress Jobs - Full Time, Remote + More! Home Blog 15 Reliable Places to Find WordPress Jobs – Full Time, Remote + More! 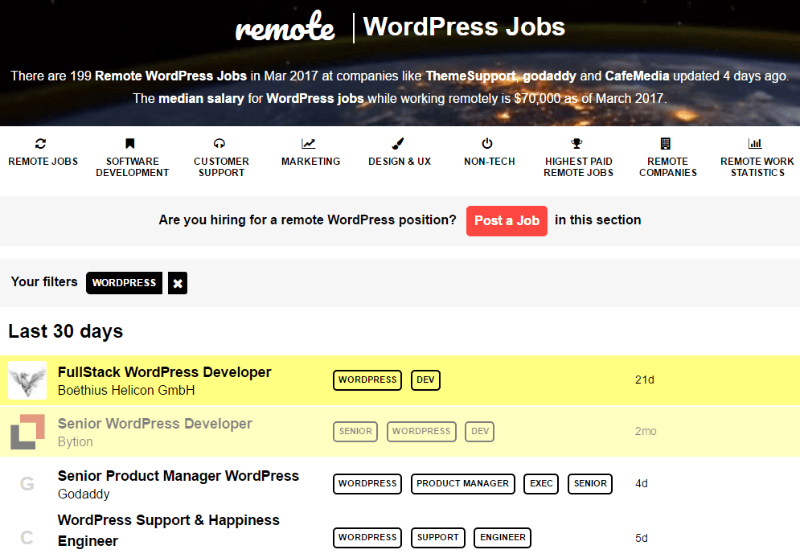 15 Reliable Places to Find WordPress Jobs – Full Time, Remote + More! Looking to find WordPress jobs? Because of how massively popular WordPress has become, there’s plenty of work out there. But to get that work, you have to actually be able to find it. And sometimes that can be the hard part, right? See, there’s no single “source” for WordPress jobs. Instead, you have to scour the Internet to find work…. Or, you could skip the scouring and just read this post. Because in just a few seconds, I’m going to lay out 15 different places where you can find WordPress jobs. So whether you’re a seasoned developer or have other WordPress skills to bring to the table, keep reading to learn about all of the places where you can find work. Since Colin wrote this post we stumbled upon a real gem that I’d not used before – Hubstaff Talent. What’s very interesting and different about Hubstaff Talent is that their platform has ZERO fees. Yip that’s right – zero, zilch, nada! Their platform is very slick and as of writing this post they have 64 jobs for WordPress professionals – and these are high quality well paying jobs from what I could see looking at the job descriptions. If you’re not having any luck with our Top 10 below I suggest you check out Hubstaff Talent. The good news is that they’re also rapidly growing (they just past 7,000 freelancers recently) so expect lots more quality opportunities as the platform continues to grow rapidly. Ok, let’s start at the beginning. WordPress does have a semi-official job listings page containing both location-specific and remote work. Jobs.WordPress.net lists a number of different job categories. And it’s not just for developers – there are also different jobs like writing, design, and migration that non-developers should be able to handle. Of course, most of the jobs are for the more code-savvy amongst us. If that’s you, you can browse by general development, or theme/plugin specific jobs. You’ll usually see about 4-5 new job listings per day, with most of them centered on development. 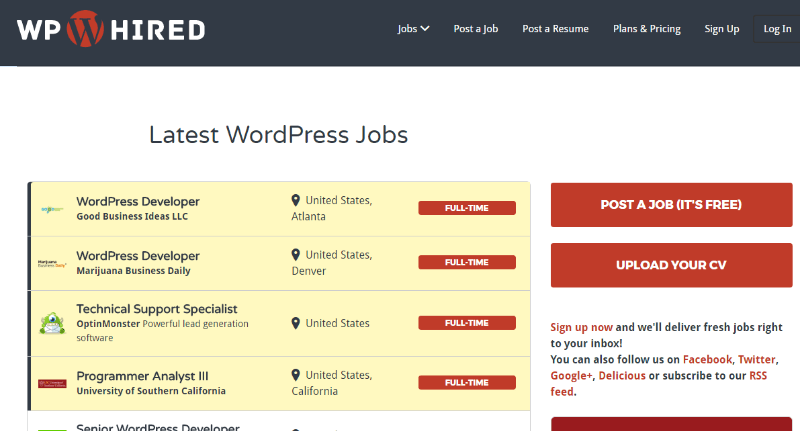 As far as WordPress-specific job boards go, WP Hired is one of the most popular. That doesn’t exactly mean it’s buzzing with activity, but they do have a number of WordPress job listings. They also have some nice filtering options to let you search by keyword, location, or category. You can also post your own resume if you want a chance for recruiters to reach out. The jobs at WP Hired skew towards full time positions, though there are still some freelance opportunities listed. 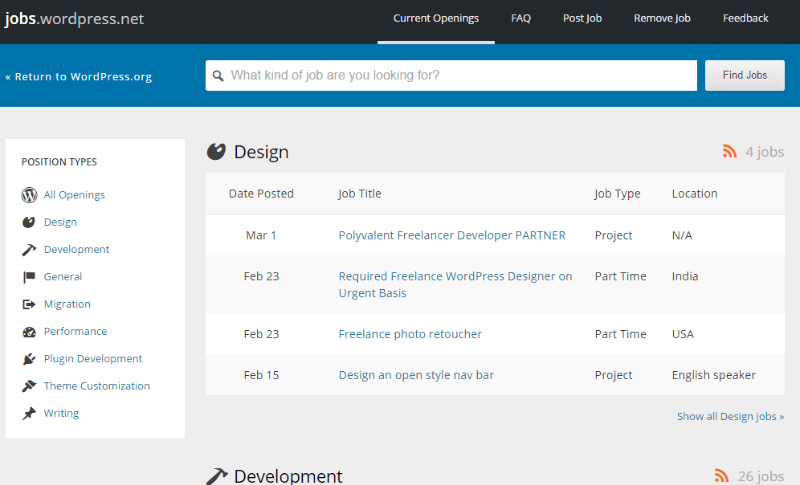 WPJobs is a well-designed, but infrequently updated, WordPress job listing board. It pulls WordPress jobs from Indeed and parses them into an easier to read format. So it’s convenient, but the job listings here aren’t unique. 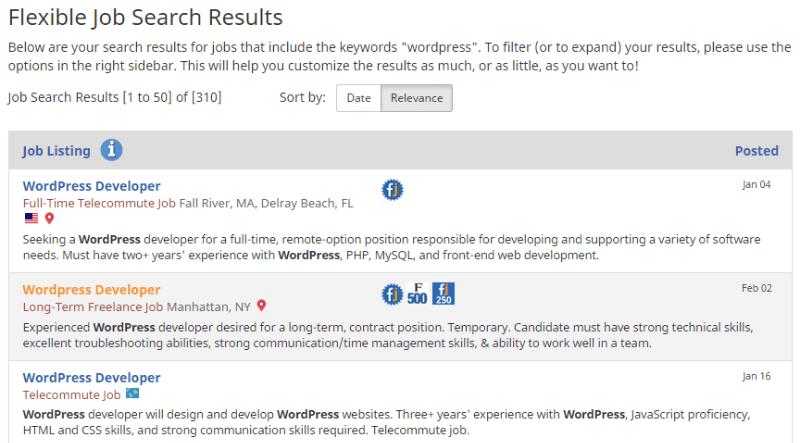 Still, I much prefer working with WPJobs’ interface than trying to search on Indeed. You can sign up for email alerts. So you just sit back and wait for the jobs to roll into your inbox. 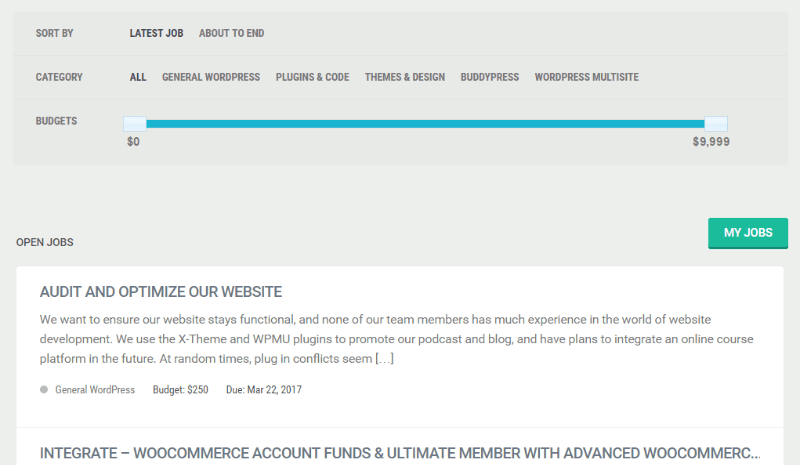 The WPMU DEV Job board is a solid place to find project-based WordPress jobs. For example, at the time of writing this article, there are about ten small jobs posted with an average budget of ~$250 (a couple higher or lower). So don’t expect to turn the individual jobs you find here into a full time living. But if you just want to earn a little side hustle with your WordPress skills, it’s a good place to browse. 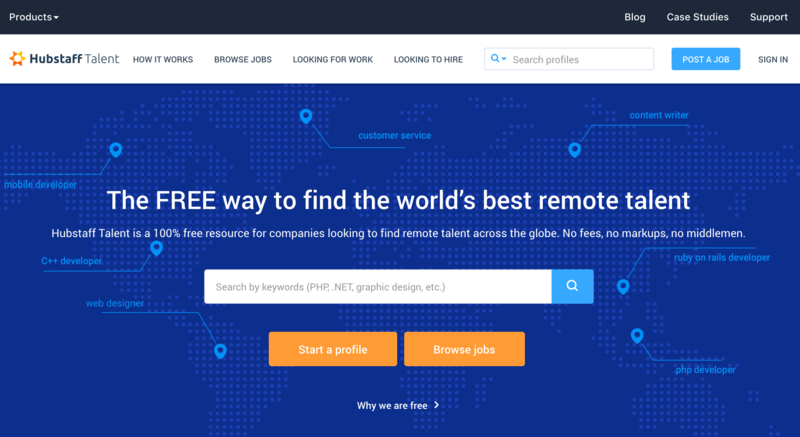 Remote OK is a collection of remote jobs from the same guy behind Nomad List. So if you’re a digital nomad, these are the WordPress jobs for you. Most of the jobs skew towards full time WordPress development. And you can usually expect about 3-4 new job postings per week. 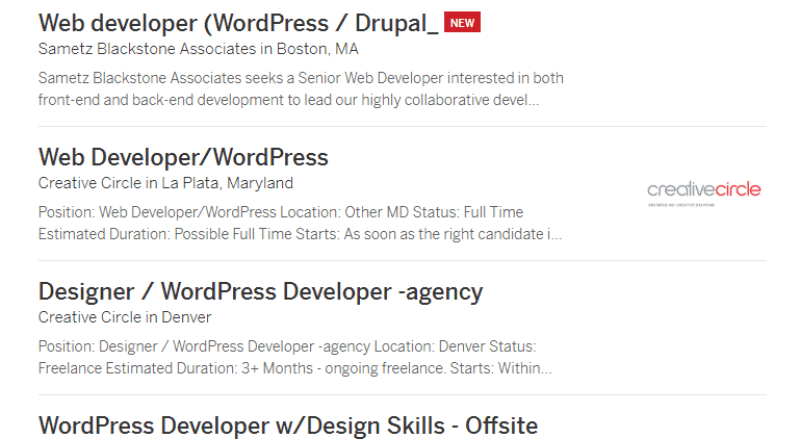 Codeable is a little tricky in that it’s not an open list of WordPress jobs. Instead, you have to apply to Codeable. Then, if you’re accepted, you can view jobs from over 22,000 potential clients. Codeable offers a minimum $60/hour guaranteed rate. So if that rate grabs your attention, it might be worth putting some time into the application process. If you want a WordPress job, what better place than with the creators of WordPress? 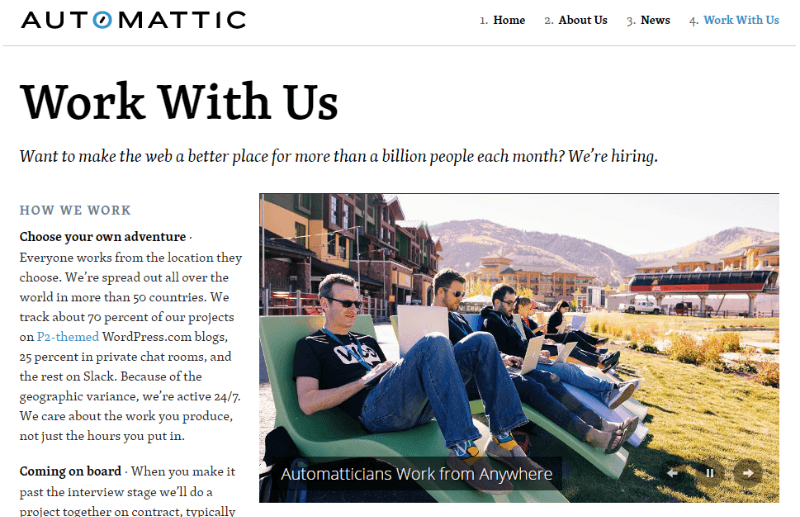 Automattic almost always has a few open positions. And all of Automattic’s job opportunities are open for remote work, which makes them pretty flexible. Krop is a job listing site for creatives. As a result, most of the jobs that they post focus on design. But not all of the jobs. 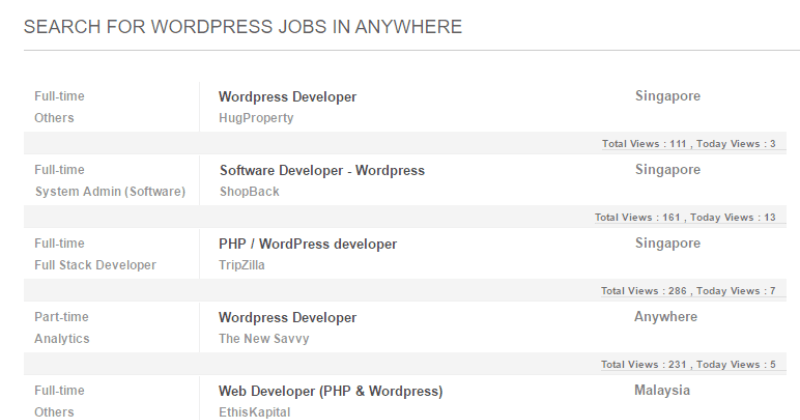 You can also find a decent number of WordPress jobs on Krop. It’s not as good as the previous options, but if the first seven job sources didn’t yield a nugget of gold, you might find something here. Most of the jobs here are location-specific, typically centered around Singapore. But if you are located in Asia, WordPress development jobs abound. You can query by individual country, though, like I said, most of the WordPress jobs are in Singapore. FlexJobs is an all-purpose job listing site with a surprising number of WordPress job opportunities. As the name suggests, most of them skew towards remote work. You can find both part time and full time WordPress work on FlexJobs. Just be aware that their sorting is a bit wonky – so you’ll need to double check when the job was posted. 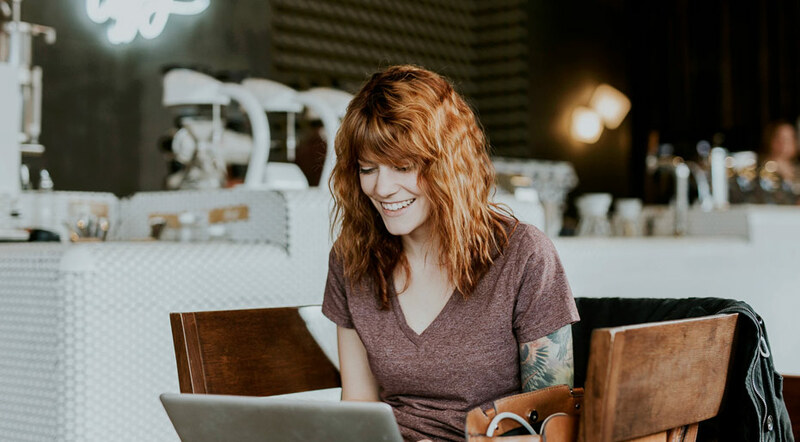 If you’re willing to embrace the freelance grind, you can also find tons of WordPress work in freelance job marketplaces. As a writer, I’m not a huge fan of these marketplaces because the pay can be, quite frankly, insulting. And from glancing through the WordPress jobs, you might have to similarly wade through a swamp of low paying jobs to find a few good ones. Toptal bills itself as a freelancer marketplace for the cream of the crop. They claim to have the “top 3% of freelancers”. If you can get in, it will offer better rates than the other freelance marketplaces. Formerly eLance and oDesk, Upwork is the result of a merger between the two. And it’s packed with WordPress jobs – currently over 6,200 different jobs at the time of this writing. Freelancer is neck and neck with Upwork in terms of general popularity (though not in terms of WordPress jobs). Currently, Freelancer has about 900 different WordPress jobs available across a variety of areas. Back when services on Fiverr could only cost $5, I would never recommend it. But now that you can charge more than $5, you can make a decent side income selling basic WordPress services like plugin configurations and theme setup. Again, you probably won’t get rich. But you might be able to eek out a side hustle. There ‘ya go! 15 different places you can find WordPress jobs. Not all of them will be enough for a full-time living. But with all the different sources listed, you should be able to find at least some WordPress work that meets your criteria. 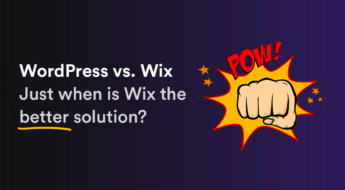 WordPress vs Wix – When is Wix the Better Solution for your Website? Colin Newcomer is a freelance writer for hire with a background in SEO and affiliate marketing. He helps clients grow their web visibility by writing primarily about digital marketing and WordPress. You can hire him to write for your website.